At the Bicycle Man we were the first US dealer to carry AZUB recumbent bikes and trikes. 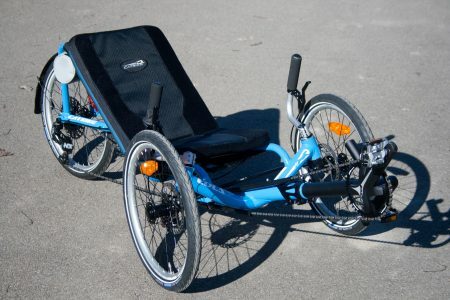 Azub has been building recumbent bikes in the Czech Republic since 2000. 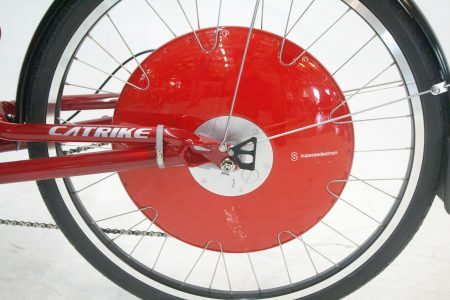 As they have grown they have added more and more recumbent bike models and in 2010 they added recumbent tadpole trikes too. If you are looking for an extra rugged, very adjustable, suspended recumbent bike or a recumbent trike that is rugged and very adjustable an Azub may be just right for you. 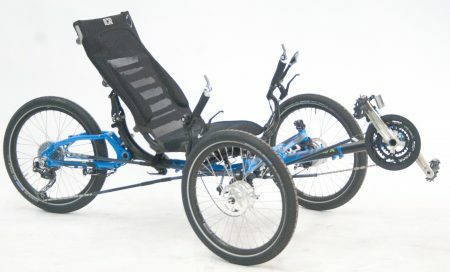 Azub is extremely proud of the articulation and adjustability of their recumbents. 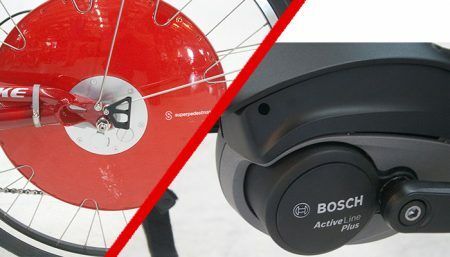 Azub knows that the key to the most effective and comfortable biking experience comes from an optimal set-up for your body when you are pedaling. Every cyclist is different and Azub strongly believes that the bike is to adapt to the cyclist, not the opposite. Whether you are a child or a basketball player Azub has developed a system to adjust the frame, seat and other parameters to fit you, the rider. They call it IPS, i.e. Ideal Position System. Using all these possibilities, it’s not only you who can enjoy your recumbent but even your child or friend, a basketball player, as well. To have an adjustable seat provides you with many advantages even if you don’t share your bike with anyone. Beginners usually start with a steeper position and after gaining experience they allow themselves to lay down more and more. Everything can be changed without any tools just with the clamping devices anywhere on your journey. 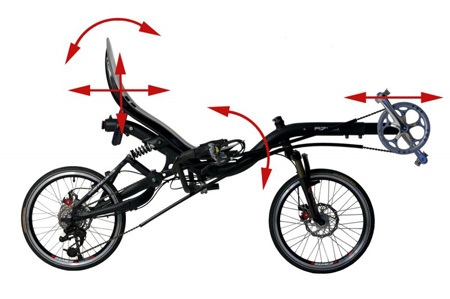 More info coming soon on these innovative, rugged European recumbents!